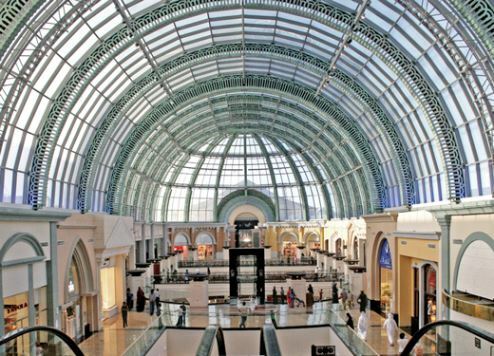 Plans to plough billions of dollars into Dubai’s retail industry have been unveiled by Majid Al Futtaim. The major mall operator, which is headquartered in the city, has said it will up its UAE investment plan by AED30 billion (US$8.1 billion) to AED48 billion ($13.1 billion) by 2026. The investments, which reaffirm the company’s long-standing commitment to its home market, include both new projects and the expansion of existing assets. The plan will create more than 170,000 direct and indirect job opportunities, the company said in a statement. As part of its new UAE investment strategy, Majid Al Futtaim will develop 10 new shopping malls under its City Centre brand. This will include a new landmark mall in Dubai, as part of a 740,000sqm mixed-use residential, retail, hospitality, commercial and leisure community. The company also plans to open its first super regional mall in Sharjah and take its integrated ‘retail-tainment’ model to Abu Dhabi for the first time, starting with the development of a community mall in Masdar City. Majid Al Futtaim will also expand six existing malls, transforming them into ‘mega malls’. Combining all new developments and expansions, the company will increase its total mall network space in the UAE from 725,000sqm to 1,500,000sqm, the statement said. Plans are also afoot to expand the firm’s portfolio of hotels in Dubai, with six new developments in the pipeline across sites including Mall of the Emirates, City Centre Mirdif, and its planned mixed-use community in Dubai. This will bring the company’s total number of hotel keys operated to 4,800. The new investment plan will also see Majid Al Futtaim introduce new cinema experiences, family entertainment centres, advanced healthcare clinics, sought-after fashion brands and innovative food and beverage concepts across the UAE. Alain Bejjani, CEO at Majid Al Futtaim Holding, said the investment plan was “closely aligned to the government’s vision for the future”, and would take the company’s economic impact to “the next level”. “Not only will we create hundreds of thousands of additional jobs, we will support Dubai and the UAE in becoming the world’s best retail-tainment destinations and deliver more life-changing experiences through seamless online and offline offerings,” he added.